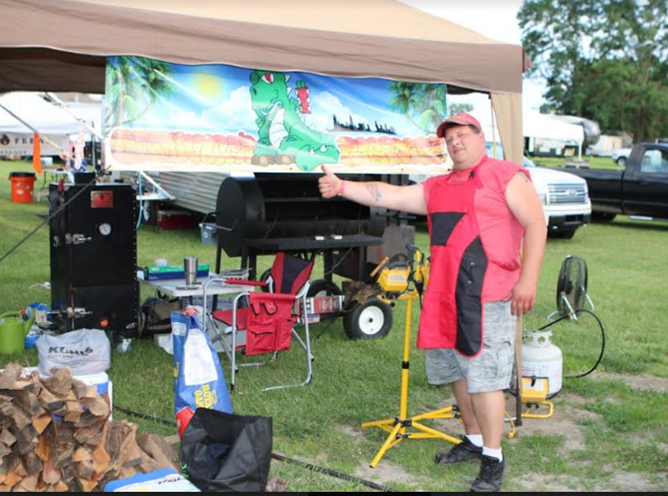 Carnivore’s Paradise is a competition barbeque team formed in 2016. The team consists of Ed Zaleski, Brian Bury and Rachel Dolan, and on occasion other guest chefs are invited in as well. Ed has been BBQing for over seven years, and in competition for the last three years. Brian Bury and Rachel Dolan are Ed’s co-cooks and all around backup team, prepping, building garnish boxes, trimming and seasoning meat and all take their turns while the grill goes all night long. Ed says that the most important factor in competition is keeping everything on schedule and cooking to the proper tenderness. The camaraderie among the team and the other competitors is kind of a family scene. Whoever wins, the whole group is happy for them. Their logo consists of a mascot T-Rex named Carl who stands in front of the City of Chicago, ready to devour any BBQ carnivorous delights—especially those prepared on a Lang BBQ Smokers! Chicago BBQ is known for rib tips and links. The popularity of BBQ is on the rise. 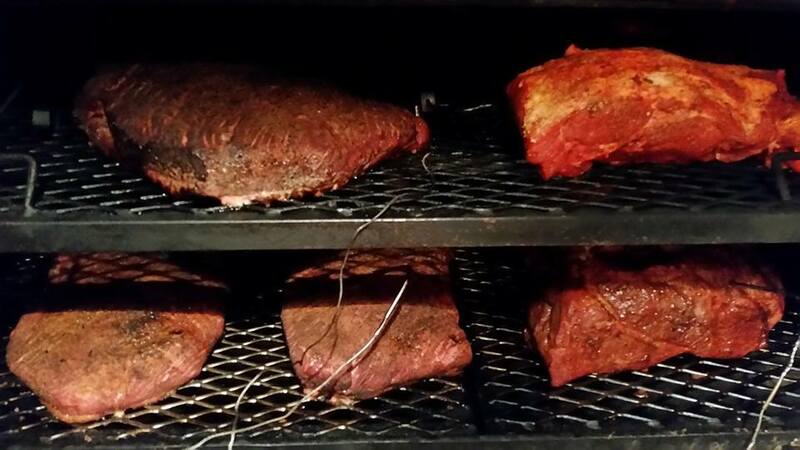 You will find a full menu of smoked meats at most BBQ festivals and establishments. The reverse flow design because it distributes heat evenly throughout the cook chamber. The warmer box is great for hanging sausage and heating up half pans of side dishes. The direct heat option from the fire box to the warm box is another option that is good for small cooks when you don't need the capacity of the main cook chamber. When it comes to favorites to prepare on his Lang, Ed likes brisket and ribs at the top of his BBQ meats list, he’s also prepped stuffed peppers, prime rib and pork chops. The Lang BBQ Smoker supports pretty much whatever the chef has in mind. Ed has cooked Sneak River Farms Wang Yu steaks in competition. In 2016 we placed 4th Place Ribs, Westmont IL, 9th Place Pork Shoulder, Manatowac WI; 5th Place Ribs Union Grove, WI. In 2017 achieved: 7th Place Chicken, Dwight IL; 8th Place Pork, Westmont Il; 6th Place Chicken, 9th Place Pork, 7th Place Brisket, 10th Place Overall, Minonk, Il; 8th Place Brisket South Bend, IN; 5th Place Ribs, 2nd Place Brisket, 5th Overall McHenry, IL. The 2018 BBQ season has just started - so far some of the highlights in 2018 have been 2nd place pork in Belvidere day 1. 4th place brisket day 2 in Belvidere. 4th place chicken, 6th place pork, 1st place brisket, and 3rd place overall in Minonk this year. We've competed in Dwight, Westmont, and Kewannee all 3 years. Belvidere and Minonk the past 2 years. We look forward to competing at McHenry, Winthrop Harbor, and Kenosha and Union Grove WI. We also offer a BBQ Experience class at all our competitions. 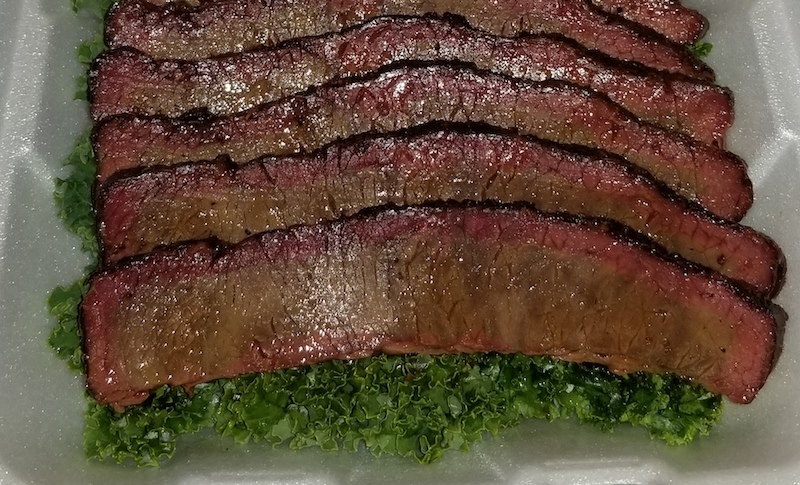 We will have 2-3 people come to one of our bbq competitions for complete experience of what competition bbq is all about. The class includes everything from trimming of meats to what gets turned into the judges. The cost of the class is $200 a person or $350 for a team of 2. 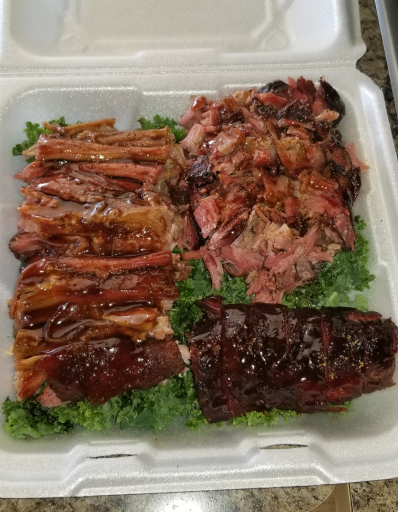 Thanks for sharing your story, photos, and recipe, Carnivore's Paradise and best wishes for BBQ competition season.